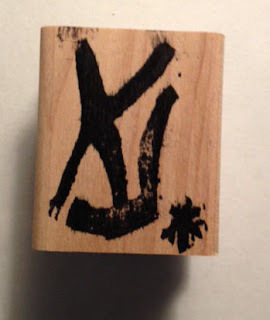 Have you ever wanted to make your own stamps? Now you can. Stampin'UP! 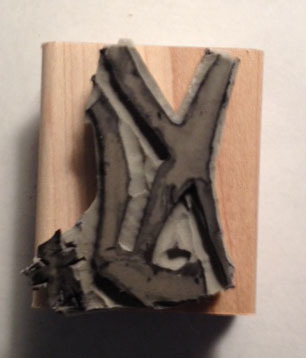 has just released a new product that's a kit for carving your own stamps. Its called Undefined. 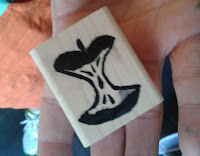 Maybe you have a special family logo or a sketch you’d like to have as a stamp. Now you can stamp them. 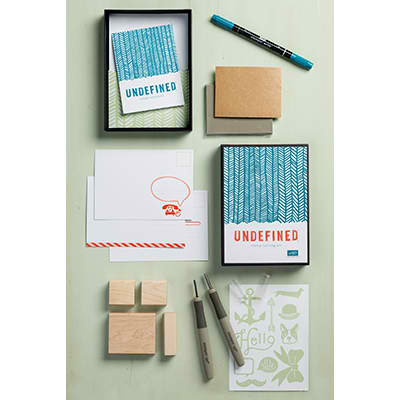 Undefined is Stampin’ Up!’s new stamp carving product line. You define the rubber stamp any way you want. I made a stamp of my initials. 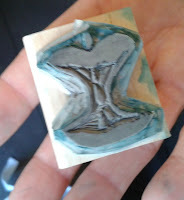 At convention we got the kit for FREE and got to make our own stamps. Its super easy. I made mine in about 10 minutes. OK, I admit that the artwork is definitely not a "wow". But I was just playing, and doing it quickly because others were in line behind me. I have all kinds of ideas for more things I want to try and can't wait to dig into some more rubber. Here's another sample made by my friend Rachel Durtschi. Rachel carved her rubber into the shape of an apple. Didn't she do a great job?! I was surprised by how easy it was to carve the rubber. After comparing my wobbly initials with Rachel's great apple sketch I can see the hard part will be perfecting my drawing skills. But its all fun. If you'd like to try you can get your own Stamp Carving Kit HERE and start turning that "undefined" rubber into a masterpiece. And I'd love to see photos of what you made. Send them to me by email and I'll post them to the blog.